When it comes it comes to heating your home, closing the vents in unused rooms is more damaging than beneficial. With heating and cooling accounting 50 percent of your energy bill every month, it is important to leave the vents open in every room in the house to cut down on energy costs. Houses operate in a vacuum, with controlled filtration that keeps the air clean and clear. This means that nothing is moving the air internally. A blower circulates the air throughout your home. The circulating air redistributes heat by either dumping it into condenser coils or picking it up from the furnace. 1. Variable Motor. A variable motor can adjust itself based on the amount of pressure in the house. 2. Same Rate-Motor. The motor runs at the same rate regardless of external conditions. This motor is less complicated and slightly cheaper, so it’s more common in homes. Motors that operate at the same rate do not always operate efficiently, because they can’t adjust to the pressure in the home. This is why your home contains a system of vents and registers to move air through the building. 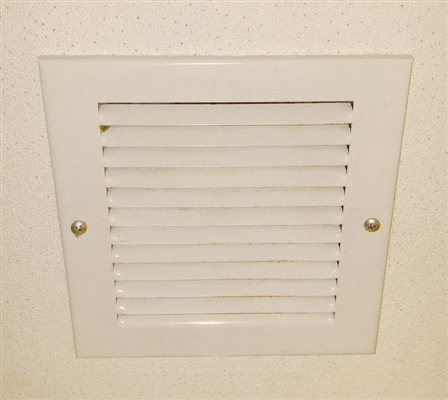 When you close an air vent, you reduce the number of channels available for moving. Air circulation is limited. Your AC system is designed to suit the needs of your home. The amount of air that your blower fan can move is suited to the flow rate of your ventilation system and the size of your home. Therefore, the reduction in airflow is a problem for effective heating. If your furnace system has a standard motor and fan, the increased pressure causes air to flow at a lower rate, leading to problems with heat transfer. Additionally, the increased pressure means that excess hot air will escape through existing leaks or to cause new leaks in your ducting. If you have a variable motor, however, reduced airflow will not be an issue. The fan motor will increase airflow regardless of the pressure. Variable motors still have to work harder, however, to compensate for the decrease in airflow due to the closed vents. The added work will reduce its lifespan and cost you more money in maintenance and repairs, as well as higher utility bills. Another drawback to closing vents in your home is an abnormal heat exchange. When airflow is reduced, air is not refreshed quickly enough for proper heat exchange occur. Hot air moves into the room at a lower rate, leading to a colder environment, thus, extended furnace on-cycles. In a heating system, the reduced flow rate means that the temperature of the heat exchanger will increase as the air around it stays hotter. The increase in heat can lead to a cracked heating coil or exchanger due to the lingering heat. The solution to these problems is simply keeping the air vents open in your home. By opening the vents, you will reduce pressure buildup, heat buildup, and an imbalanced circulation of air. You may also want to have your air ducts or furnace cleaned to ensure that the air is flowing properly through your home. If you need the air ducts cleaned in hour home, contact Dust Doctors today. We offer a wide range of air purification services including complete air duct cleaning for residential properties in Minneapolis, Minnesota. To schedule service, contact us today at 651-319-9777. « How Often Should You Have Your Ducts Cleaned? What Households Are Most in Need of Duct Cleaning?